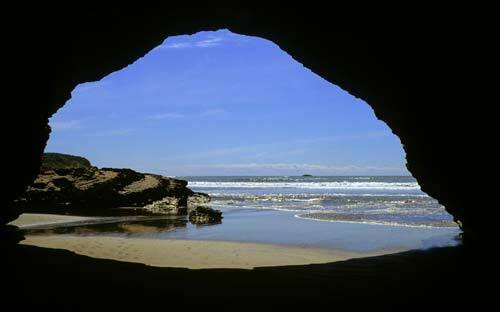 This sea cave is at Gibsons Beach, on the West Coast. Formed by the force of waves, such caves are shallow. This one has been carved out in mudstone.